I made two new flies from Charlie Craven’s book, so I decided to flip through my fly tying book by Scott Sanchez that I purchased at the Fly Fishing Show several years ago. The mega beetle caught my eye as a nice foam body fly to add to my arsenal. I fish with Chernobyl ants quite a bit, and the mega beetle appears to be a truncated Chernobyl ant. This fly may prove to be a good option in instances when fish refuse the Chernobyl ant with its smaller size and a shape more closely approximating natural beetles. I tied three mega beetles on Sunday and then added two more on Monday. 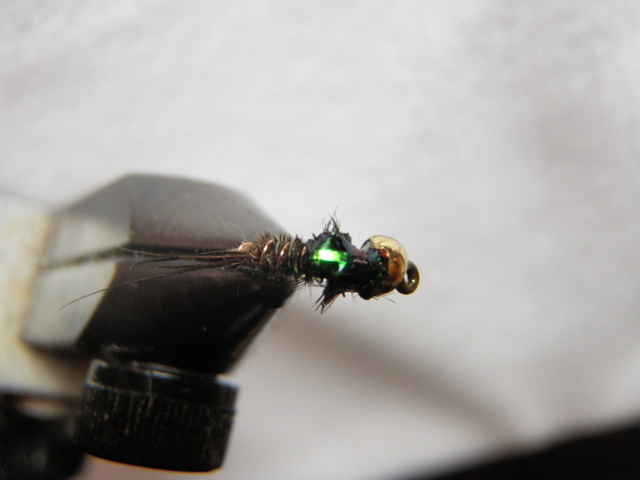 The trickiest part of this fly is winding the parachute hackle around the strike indicator on top of the beetle. 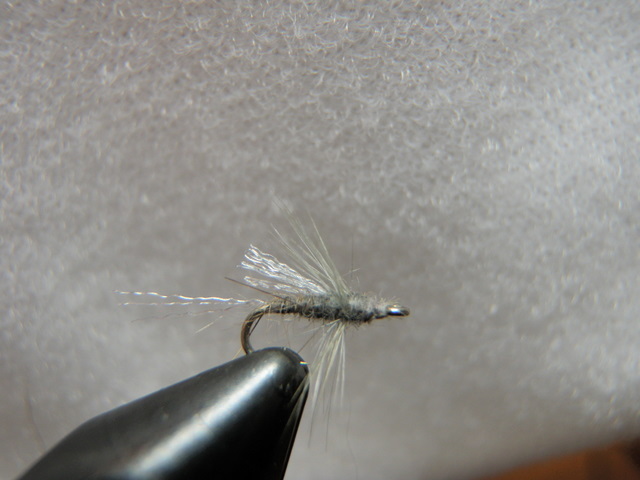 I learned with practice that it doesn’t pay to be delicate with this operation, and the fly benefits from lots of tugging of the hackle and prying up the indicator. I’m sure beetles without hackle would work just as well, but I’m the type that always follows directions. 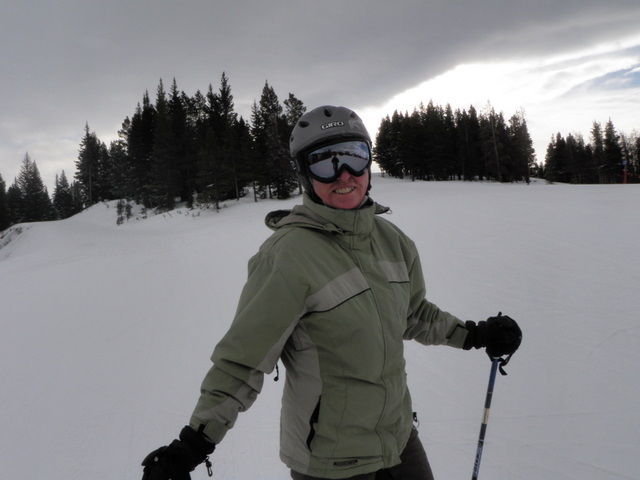 Jane was able to get out of work at noon on Friday so she and I packed the car and got off to an early start on our third ski weekend at our rental condo in Dillon, CO. We avoided traffic and got to the condo by 3:30PM. We made plans to meet our friends, Fred and Douggie Young, at 6:30PM. Since we had some time to spare before dinner we did some shopping at the Columbia Sportswear outlet and then went to the Natural Grocers store and picked up assorted items that we can’t find at the local King Soopers. We called the Youngs, and Douggie informed us that we were all meeting at Hacienda Real in Frisco. We arrived at practically the same time as the Youngs and snagged a table for eight. The place was rather crowded so we were quite amazed that we were able to do this. In short order the Young’s friends Pat and Paul and Debbie and Harold arrived and joined us. Pat and Paul live in Colorado Springs, and Paul was a fraternity brother of Fred’s. We were surprised to discover that Pat’s mother lives in Allentown, Pa. We made plans to meet the Youngs and Pat and Paul on Saturday morning at the top of Lionshead at 10AM. On Saturday morning we gathered our skiing gear and made the drive to Vail. The roads were bare and traffic was practically non-existent. We parked at Lionshead and waited in a long line, but arrived at Eagles Nest at precisely 10AM. The foursome was there waiting having just exited the chair lift. The others had arrived at 8:30 and had registered quite a few runs near Eagles Nest already. 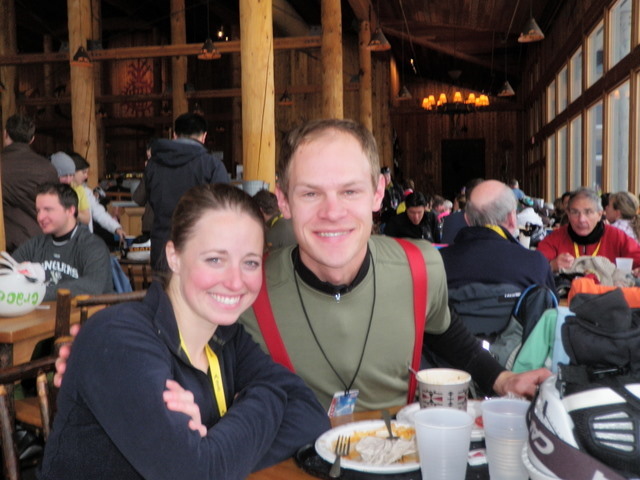 We skied together for the remainder of the day with the highlight being two runs in the back bowls. Fred, Paul and I did a run down Ricky’s Ridge in Sundown Bowl and then Fred and I were joined by Jane for a run down Wow in the same bowl. By the end of the day my hands and toes were quite chilled so Jane and I returned to Lionshead ahead of the others. 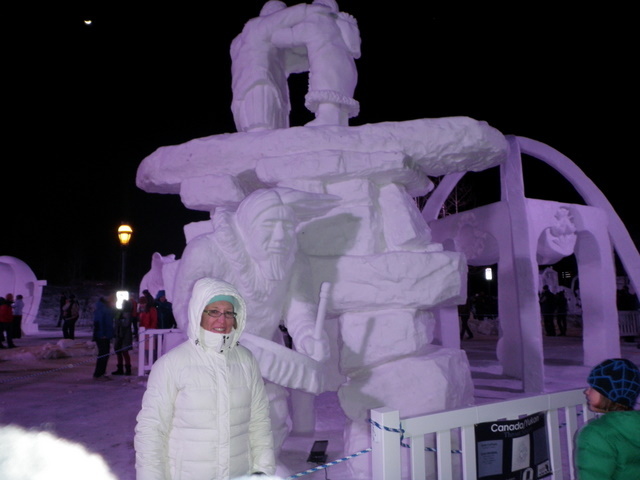 Saturday evening we had a nice dinner at an Italian restaurant in Frisco and then drove south to Breckenridge and checked out the snow sculpture contest. It was quite frigid as we walked the sidewalks of Breckenridge and photographed our favorite snow art. I’m quite excited about the latest batch of flies I tied today, Sunday, January 22. 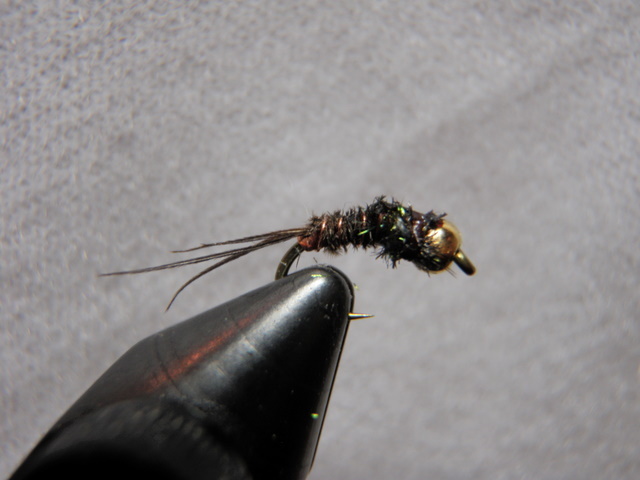 I spotted the fly and tying directions in Charlie Craven’s book, Charlie’s Fly Box, and today I generated six size 16 mugly caddis with olive brown bodies. 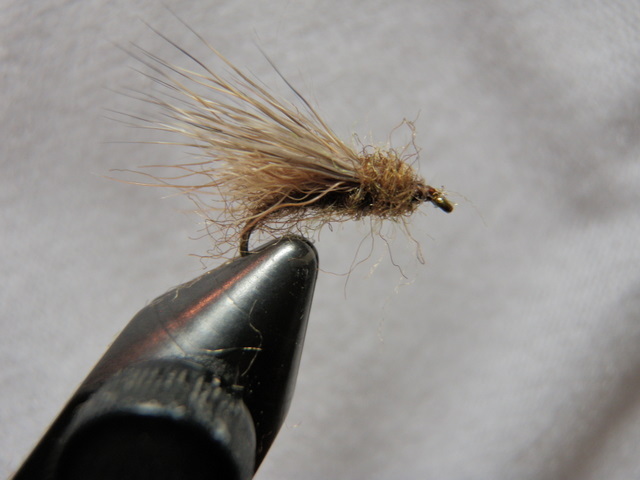 These flies are purposely designed to be shaggy and unruly, and I love flies that fit that description. I’ve often caught numerous fish on a bedraggled fly, and it seems the more the fly deteriorates, the more the fish respond. 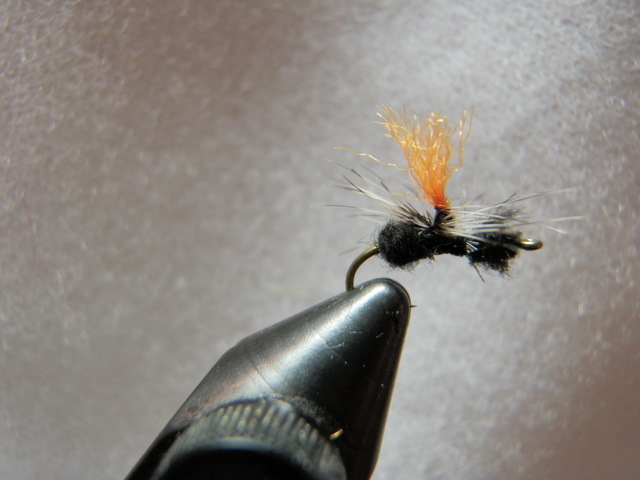 The mugly caddis is analogous to buying faded jeans as it is created to look used. 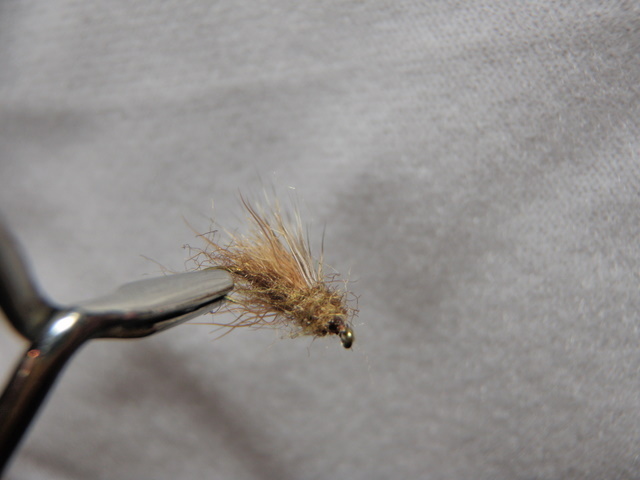 In order to tie this fly I purchased two tan snowshoe rabbit feet. I’ve never tied a fly with this material, and I’m excited to see how it works. It certainly seems to bring a lot of air pockets to the underwing. 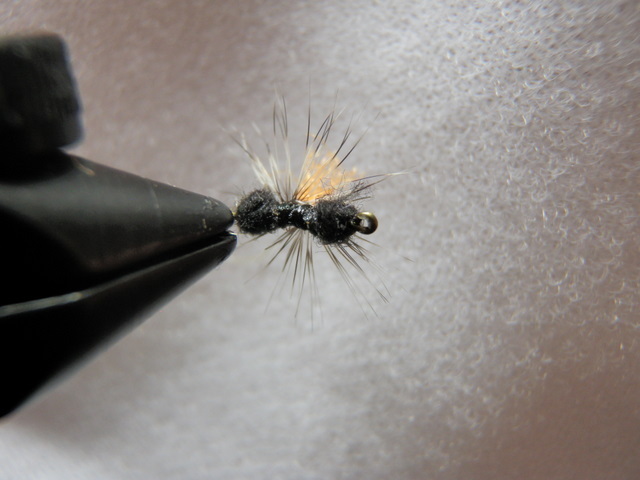 In addition to offering a life like appearance, the mugly caddis is fairly easy to tie with only three materials involved. Jane and I took off Friday evening for our drive to Dillon and the condo we are renting on weekends for the 2012 ski season. We planned to arrive at the condo around 7:30 and eat a light dinner. Dan and friends Devon, Brady and Kara were driving up later and crashing at the condo for Friday night and then skiing at Vail on Saturday. Unfortunately we hit heavy bumper to bumper traffic between Georgetown and the Eisenhower Tunnel so didn’t arrive until 8:00PM. We grabbed a quick dinner at Chipotle in Silverthorne, and the rest of the crew arrived at around 10:30. Saturday morning brought virtually no new snow, but we all decided to drive to Vail for the day. I had skied Vail the previous Friday with John Broadbent, so I was curious to see how the conditions had changed. After we parked and walked through Vail Village to the lift area, we discovered Dan waiting for the girls even though they had left the condo 45 minutes before us. They parked at the free parking in East Vail and took the shuttle bus. We agreed to meet as a group at Two Elks Lodge at 12:30 as the younger members of our group wanted to ski the recently opened back bowls and Blue Sky Basin. The conditions had improved somewhat from the previous week, but remained very thin on the trails that did not benefit from snowmaking. Jane and I remained on the front side of Vail for the morning and worked our way to Two Elks by noon and snagged a large table. Within ten minutes Dan and the rest of the gang arrived and we all relaxed and had lunch together. 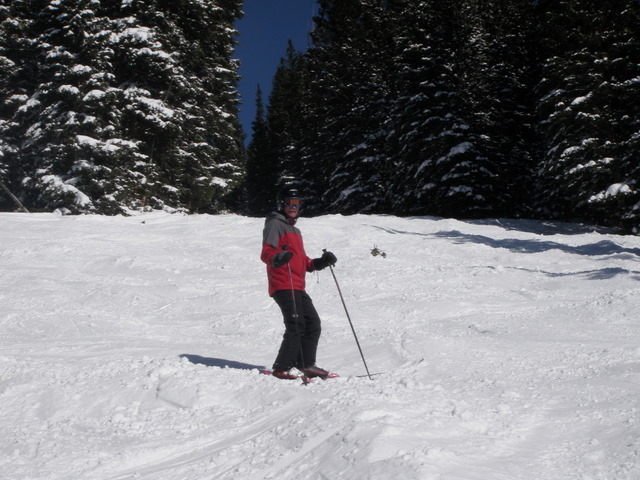 After lunch Jane and I took a run down China Bowl and planned to return to the top on the Teacup lift. However, as we approached Teacup lift we noticed that the lift line to Blue Sky Basin was very short so we hopped on and enjoyed a run on Cloud Nine. After one run in Blue Sky we returned on the Teacup Express and then worked our way to the Lionshead Gondola. By this time it had begun snowing fairly heavily so we appreciated the shelter of the gondola. Our final run was on Born Free, and when we reached the base, we decided to call it a day. Jane contacted Dan, and they were on their way down as well so we waited for them. We offered them a ride to the free parking lot, but a shuttle bus arrived as we neared the parking garage, so they jumped on the bus. We invited Karen and David Gaige to join us for Saturday evening, so when we returned to the condo we contacted them, and they arrived by around 4:30PM along with the kids. Brady’s parents, Dougie and Fred, were also at their condo in Dillon waiting for the forecasted snowstorm, so we called them and invited them over and had a great impromptu spaghetti feast at the condo. Everyone pitched in with food preparation and clean up. Karen and David stayed with us on Saturday night. On Sunday morning we had a great breadfast, and Karen and Dave departed for snowshoeing while Jane and I cleaned up the condo, packed and loaded the car. We left Frisco after returning the key by 10AM and returned to Denver before noon. 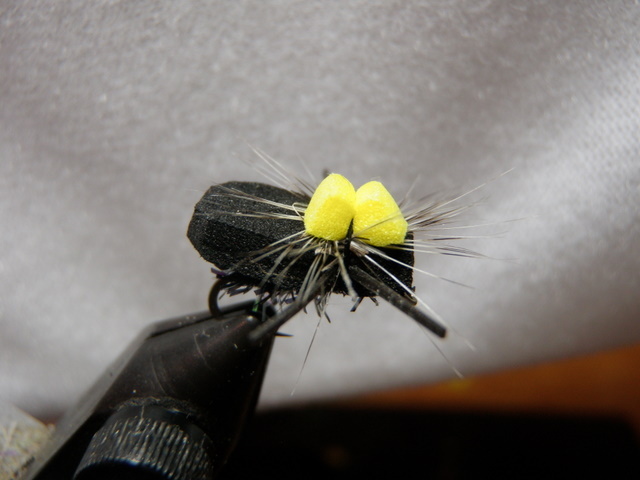 I finished tying all the flies on the list I generated in November, so now the fun part has arrived. I decided to make some new flies I’d never tied before, and last night I browsed through my Charlie’s Fly Box book by Charlie Craven and selected two new patterns to tie; Craven’s soft hackle emerger and a mugly caddis. The soft hackle emerger appeals to me as a potential alternative to the RS2 that I frequently fish when blue wing olives are in the air. The white tail and wing made from fluoro fiber looks like a true fish attractor. 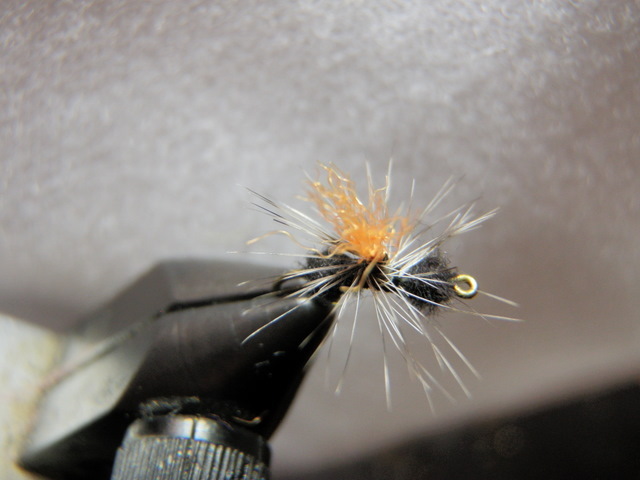 On Tuesday I made the lunch time drive to Old Arvada and purchased 5 minute epoxy to appropriately finish the jujubaetis flies, bought white fluoro fiber for the soft hackle emerger, and finished my shopping with two tan colored snowshoe rabbit feet for the mugly caddis. 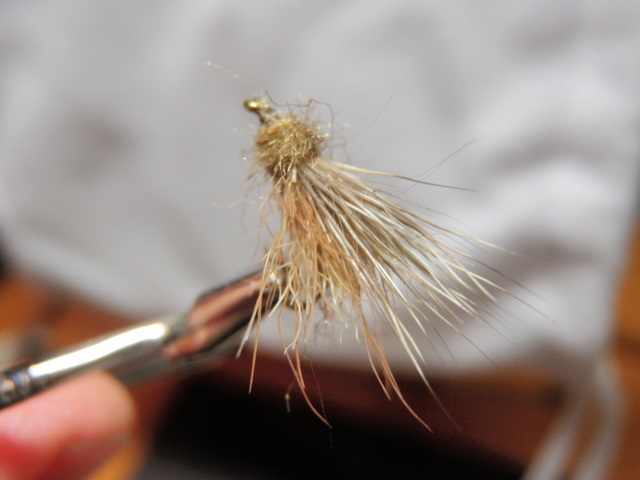 On Wednesday and Thursday I sat down at my vice and produced ten soft hackle emergers. The first five were tied per the directions in the book, and I was quite pleased with the results even though I struggled to fold the hackles. I added five on Thursday night tied on a size 18 scud hook with a small silver bead. I’m anxious to try both types as replacements for the RS2. Perhaps the first dry fly that I had any consistent success with was the trico spinner. Tricos hatch like clockwork during the summer on the Little Lehigh Creek in Allentown, Pa., and I spent many weekend mornings trying to hook gulping trout on this waterway within the city limits of Allentown. This proved to be a great education in stealthy approach, casting and following a tiny dry fly for a relatively novice fly fisherman like myself. When I moved to Colorado I assumed that my pursuit of trout sipping trico spinners was behind me, but I was mistaken. There are numerous streams in Colorado that host fairly dense trico hatches. Some of the first ones I witnessed were on the South Platte River between Spinney and Eleven Mile Reservoirs. Eventually I encountered spinner falls on the South Platte River near Deckers and some particularly predictable and steady hatches in Eleven Mile Canyon. This past summer I caught a few nice fish on trico spinners on the Arkansas River below Salida. Because of these occasional encounters with the trico, I depleted my supply and decided to replenish this during January. I consulted my friend, Jeff Shafer, who continues to live in the Lehigh Valley about the latest trends in trico spinner tying. 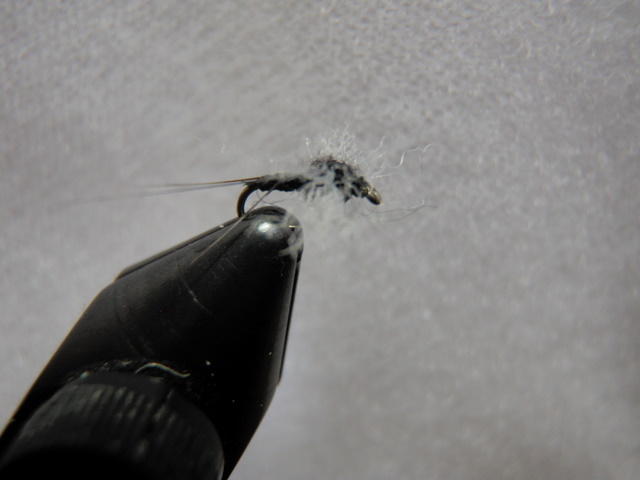 Jeff told me he has had good recent success using charcoal sculpin wool for the wings. This material more closely matches the gray opaque natural trico wing when viewed from beneath the water. Jeff was kind enough to mail me several hanks of sculpin wool, and I used this material to produce seven trico spinners. 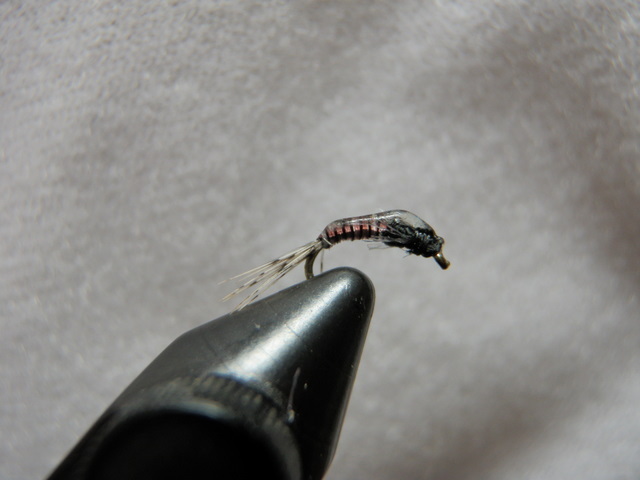 I also tied five spinners using the white poly wing from my past. 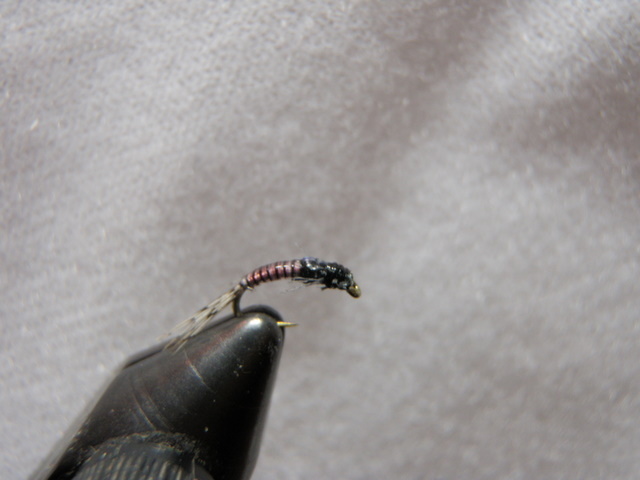 Bring on the tricos as I’m ready to offer my charcoal wing imitations this summer. Two years ago while attending the Fly Fishing Show in Denver in January I roamed along the outer wall where fly tiers were stationed. Here I discovered a tier from Pennsylvania named Tom Baltz, and he was displaying some parachute black ants with various colored wing posts. 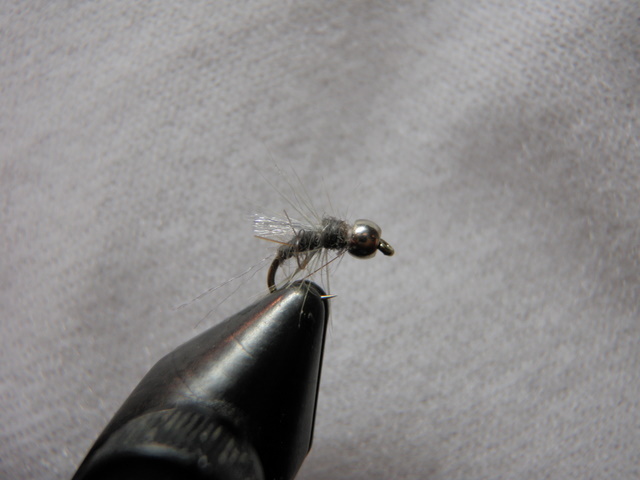 I inspected the ants and I was impressed with the narrow waist between the bumps in spite of attaching a wing post and parachute hackle to the middle of the fly. I asked Tom if he would tie one for me and he did. 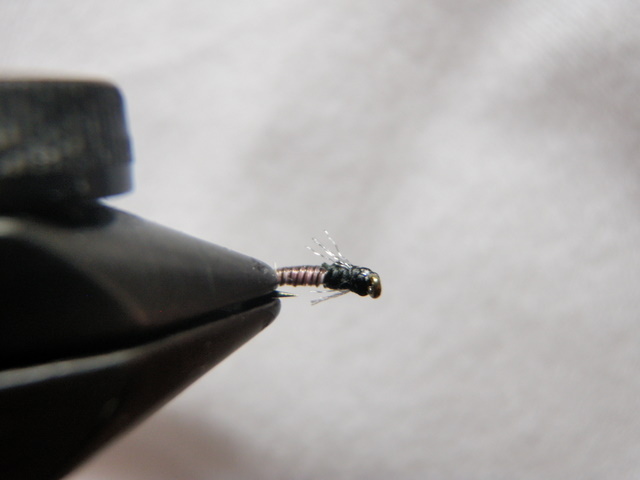 I returned to my personal fly tying desk and produced some reasonable imitations. Two years passed by, and I couldn’t remember the detailed steps required to make parachute ants, so when I attended the Fly Fishing Show on January 6, I sought out Tom for another instructional session. I found him in a similar position, and he agreed to tie a parachute ant for me again. This time I borrowed a piece of paper and pen and recorded each step in a fair amount of detail. 5. Point wing down and in front of near side of hook shank. 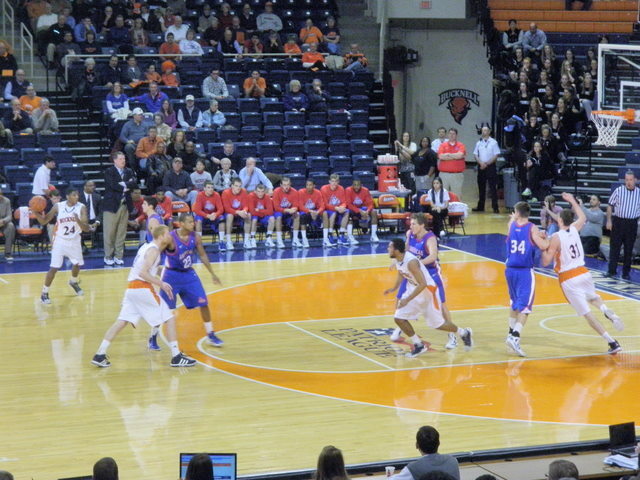 Take two soft turns to trap, tighten and roll to top, then bind down behind post. 6. Make a blunt cut of wing post material and cover stub with wraps. 7. Make two turns around base of wing post to stand up then lock with two turns behind. 8. Attach hackle stem in front of wing post. 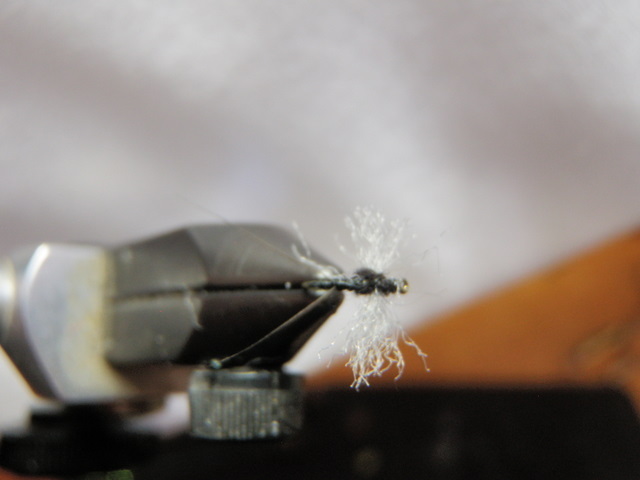 One soft wrap from behind to in front over top of hackle stem then pull hackle so minimum stem showing then one more wrap then 10 horizontal wraps around hackle and wing post. 9. Go to back end of the hook and create rear bump. 10. Go to the front of the hook and dub front bump. 11. 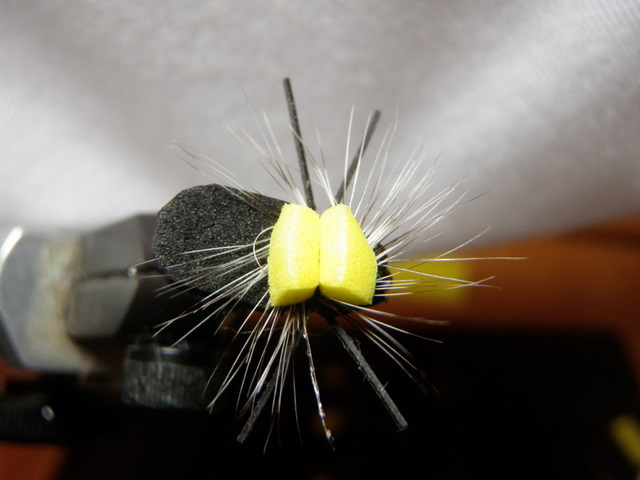 Return thread right in front of wing post and use rotating hackle pliers and wind the hackle counterclockwise from top to bottom down wing post. 12. 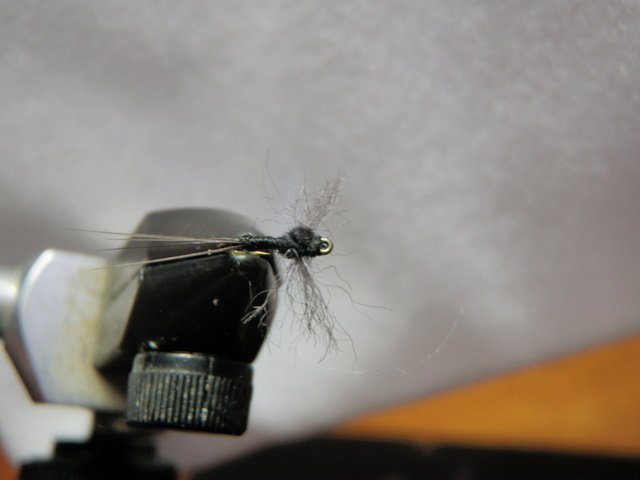 Tie off on waist with two wraps, snip hackle tip, then whip finish through hackle. *Key is wrap parachute counterclockwise. This enables wrapping the thread through the parachute hackle fibers without trapping them. When I first moved to Colorado this fly was my dominant producer. I fished frequently in the South Platte River below Deckers, CO because of the proximity to my home and the great fishery that existed there prior to the Heyman Fire. Drifting a nymphing rig with a strike indicator, a split shot or two, a pink San Juan worm and a beadhead pheasant tail was money in the bank just about any time of year. However during the pale morning dun hatch time period of mid-June to mid-July, the pheasant tail nymph was unsurpassed. I can remember days fishing with my friend Dave Gaboury where every upstream cast produced a hit on the beadhead pheasant tail before, during and after a PMD hatch. In one instance, a strong hatch commenced and when fish began to rise to the surface, I switched to a PMD dry fly while Dave G. continued with his nymph system. Dave G. totally outfished me with the nymphs compared to my dry fly. 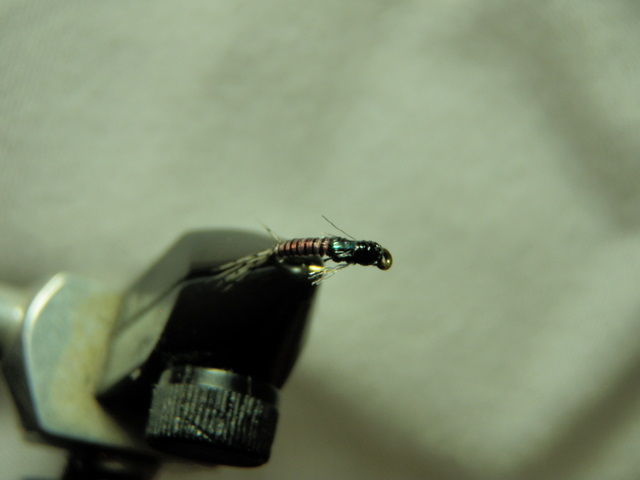 Over time I’ve modifed the standard pheasant tail by adding a gold bead, tying on a curved scud hook, adding a strand of pearl flashabou to the wing case, and using peacock herl for the thorax instead of pheasant tail fibers. I needed 16 beadhead pheasant tails to replenish my inventory for 2012, and I can report that I am ready to go.